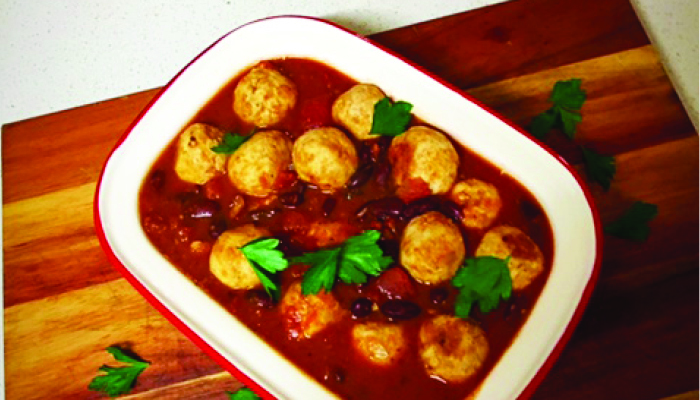 Delicious Moroccan turkey meatballs ready to eat in 15 minutes! Combine crushed wheatbix, turkey and Moroccan spice powder and mix well. Heat a pan to medium head and add tomatoes and kidney beans with ½ a cup of water. Cover kidney beans and tomato and simmer on low heat. 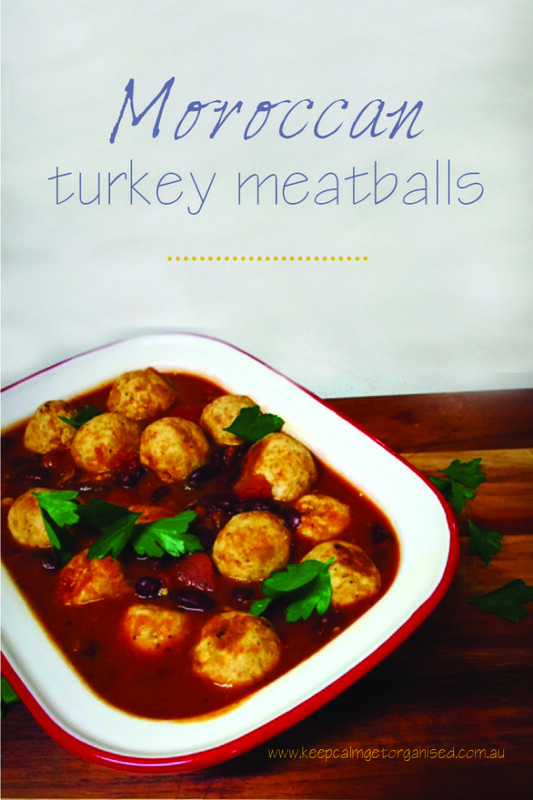 While simmering, shape turkey mixture into small round balls. Heat olive oil in a pan on medium meat and brown meatballs. When browned, transfer to tomato mixture and cook covered for 5 minutes. Serve with veggies and rice.